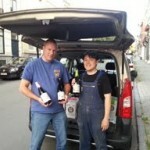 UME Lambic from OWA Brewery is owned by a Japanese national who lives and works in Brussels, he uses 100% Japanese ingredients to add to his Timmermans Lambics. In this 2nd part of my presentation of Leo Imai‘s bottlings, here he uses “UME”, Japanese plum from Kishu or the Wakayama area in Japan. Leo explains that 7 Ume (plum) go into each bottle of lambic !! 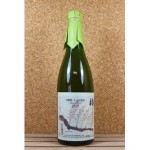 Ume Lambic is the first marriage of Belgian beer with Japanese fruits/plants. A good part of the OWA beers find their way back to beer-fans in Japan, and/or are on the menus of Japanese restaurants in Belgium & The Netherlands. 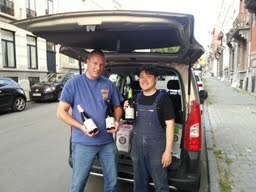 On my visit to Leo Imai in Brussels he told me other OWA brews are in the pipeline. 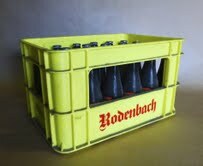 They will be introduced to Belgiuminabox as they come available. 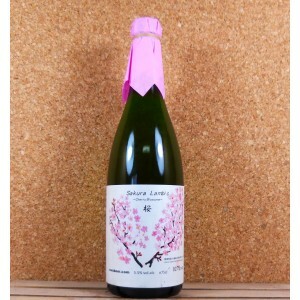 Sakura Lambic from OWA Brewery is owned by a Japanese guy who lives and works in Brussels, he uses 100% Japanese ingredients to add to his Timmermans Lambics. Here Leo Imai experiments with “cherry leaves“; Sakura is the Japanese national flower. 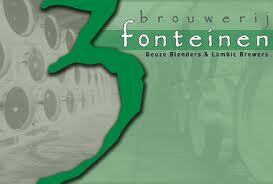 The lambic is matured in wooden barrels for around 1 year and then blended with the leaves of the cherry blossome. 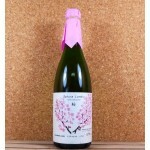 Leo Imai : Sakura Lambic is the first marriage of Belgian beer with Japanese flower leaves. Most of the OWA beers find their way back to beer-fans in Japan, and/or are on the menus of Japanese restaurants in Belgium & The Netherlands. 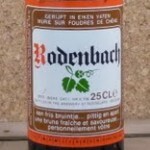 Rodenbach beer bottled in their 25cl bottles !! 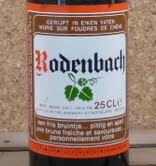 A true find for the Rodenbach fan and collector of old Belgian brews. Notice the original labeling from back in the day. 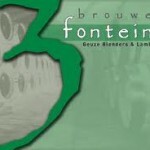 Today, I received a notice from Brewery 3 Fonteinen that the upcoming 3 Fonteinen Hommage will be released towards the end of December 2013. 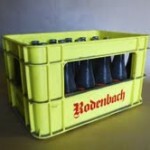 The beer is not ready to be bottled yet and is still in the process of maturing. I was warned that the supply will be limited, so no huge numbers will be available..
More info on the release of the Hommage will be published here on the Belgiuminabox Blog and my newsletter as it comes out from 3 Fonteinen. Patience is a good deed !! 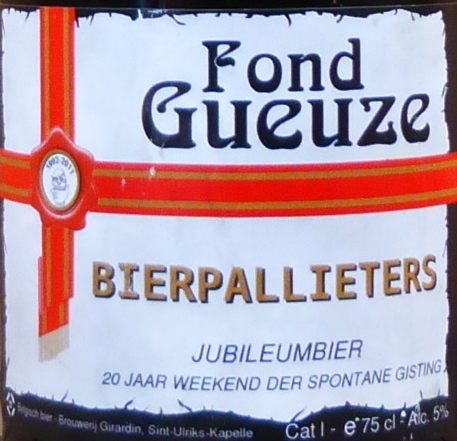 Originally brewed and bottled at Brouwerij Girardin, the Bierpallieters Fond de Gueuze 2009 is a special privately made beer that was made for a beer-tasting club “De Bierpallieters” from Buggenhout. 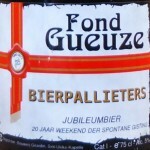 This rare and unique bottling is currently available at Belgiuminabox in small numbers the bottling was made to commemorate the 20th anniversary of the Bierpallieters’ “Weekend of Sponteneous Fermentation” (Weekend Der Spontane Gisting), an annual tasting event that specialises in the Lambics, Fruit-Lambics and Gueuzes. 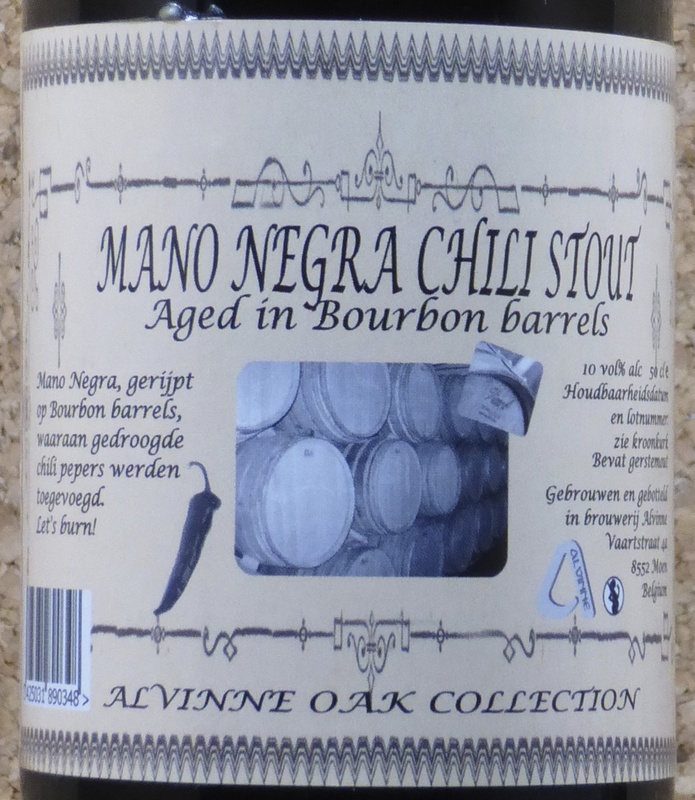 A while back on a ‘at random’ visit to Pico-Brouwerij Alvinne in Moen, West-Flanders, I discovered their new Chili Stout variety of the Mano Negra line of beers. 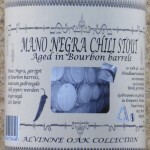 At 10% ABV, Bourbon barrel aged, the bottles were bottled just days before and the empty barrels were still rich of peppery chili flavors. Only a couple hunderd 50cl bottles where bottled from this small Batch. This one-off was only sold at the brewery door. 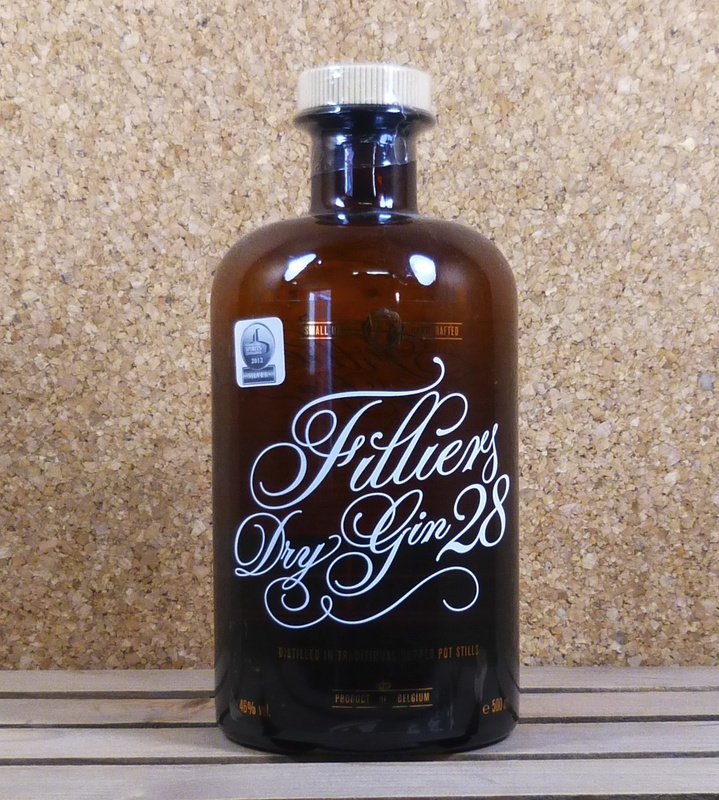 Filliers Dry Gin 28 is a handcrafted premium gin, infused and distilled with 28 botanicals carefully selected by one of Filliers Master-Distillers : Pedro Saez Del Burgo. 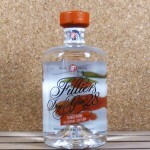 Filliers Dry Gin 28 is based on the authentic recipe of Firmin Filliers that first created this traditional gin back in 1928. 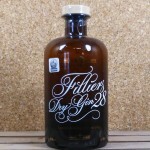 Filliers Dry Gin 28 is patiently distilled in small batches, using traditional copper pot stills (alembics) at grain-distillery Filliers, est 1880 in Deinze (Bachte-Maria-Leerne), East-Flanders. 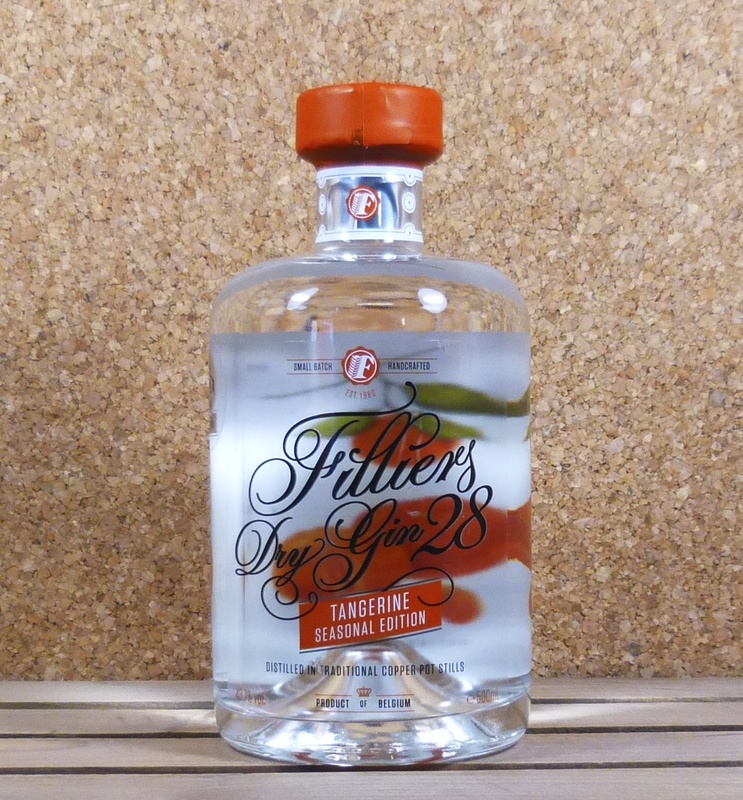 Served with quality tonic water, Filliers Dry Gin 28 delivers a flavor beyond compare and is certain to create the best G&T you have ever tasted.